Red Chamber has taken the international music scene by storm. 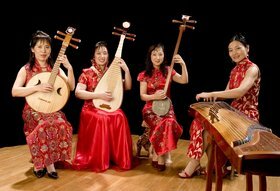 Led by Mei Han, this dazzling quartet has redefined Chinese music in the 21st Century. Constantly stretching the boundaries of traditional Chinese instruments, Red Chamber is a true representation of the unique musical fusion that Vancouver is famous for.